This site is pathetic now. Awesome video, never saw it before, nice up! 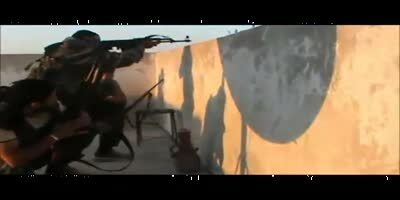 Assad Milltia man gets sniped at by rebels in Aleppo 8-25-12. Rebels attack a Syrian army outpost in the city of Idlib. Syrian army outpost attacked and overran by rebels no survivors. 9-17-12. Rebels in the Aleppo region of Syria attack a large Syrian army convoy, also some other footage of IED attacks on Syrian army vehicles. Pissed off locals in Aleppo gather around to watch dead pro-assad security forces get thrown off the roof of a post office that they had taken over. After it was overrun and they were killed throwing them off the roof was the the easiest way to remove the bodies.